The new entirely Pixar-themed area of Disney California Adventure Park – Pixar Pier – enthusiastically opened its gates on June 23rd, and it’s got more than enough to offer to all the fellow Pixar fans out there. First up – the attractions! There are currently 3 attractions at Pixar Pier – The Incredicoaster, Toy Story Midway Mania, and the Pixar Pal-A-Round – with more due to be added in 2019 (Inside Out Emotional Whirlwind and Jessie’s Critter Carousel). Toy Story Midway Mania makes you feel like you’ve shrunk down to the size of Woody and Buzz while you compete in a variety of target shooting games, while the Pixar Pal-A-Round Ferris Wheel lets you sit back, relax, and take in your surroundings and the wonderful views. If you’re looking for more of a thrill, there are swinging gondolas too! The Incredicoaster is an Incredibles 2 themed rollercoaster, complete with Michael Giacchino’s iconic soundtrack. And this isn’t just the movie soundtrack – Giacchino arranged music specifically for the Incredicoaster, to play alongside a high-speed race to catch Jack-Jack. If you’re looking for an immersive experience, then look no further than this super-powered ride. This isn’t anywhere near the extent of what Pixar Pier has to offer – there are all sorts of snacks taking inspiration from our favourite Pixar movies (a ‘Jack-Jack Cookie Num Num’, anyone? ), including the Poultry Palace, which you may recognise from the Toy Story toon Small Fry. There are also plenty of games (with prizes!) to try out – the La Luna themed one being my personal favourite. The WALL-E Space Race comes in as a close second though. I love how the team who came up with concepts/designed/built Pixar Pier were clearly driven by creativity and a sense of fun. I think that’s why I feel the most excited about the Lamplight Lounge (and that’s why I saved it until last). The Lamplight Lounge is a ‘restaurant celebrating creativity’; its walls and ceilings are adorned with posters, concept art, promotional art and memorabilia from Pixar movies spanning all the way back to Toy Story. 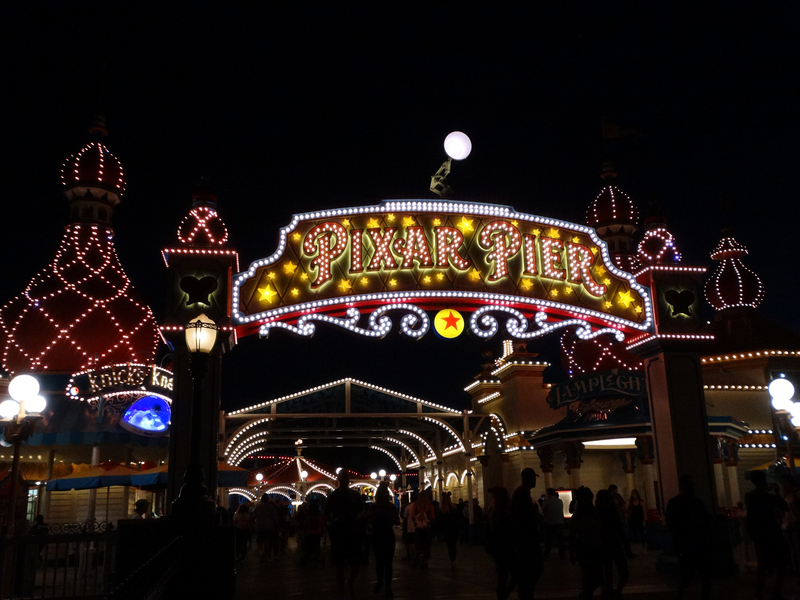 Have you been lucky enough to visit the Pixar Pier yet? If so – please share your photos and experiences with us! What was your favourite part? Did you sample all the snacks? Let us know on Twitter. Pixar Pier and so much more! Pixar Pier at Disneyland is looking to be even more fabulous and creative with each new bit of concept art. A whole new Pixar world is currently under construction at the famed Anaheim theme park, with all of our favorite characters making an appearance. Check out all the new additions below! Non dairy frozen lemon treats will be available at this stand, a wonderful nod to the Yeti’s snowcone creations from Monsters, Inc.
Perhaps the most enticing new addition is The Incredibles themed neighborhood. 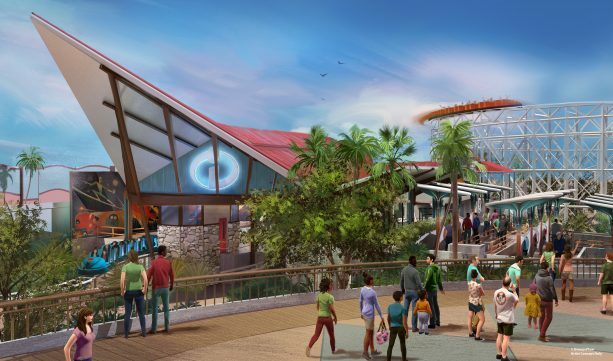 The Incredicoaster will be a thrill, based on Jack-Jack escaping and unleashing his powers as he explores. Though he’s tiny and bald, Jack-Jack is the most powerful super since he has an assortment of powers and we still don’t know what he’s fully capable of! 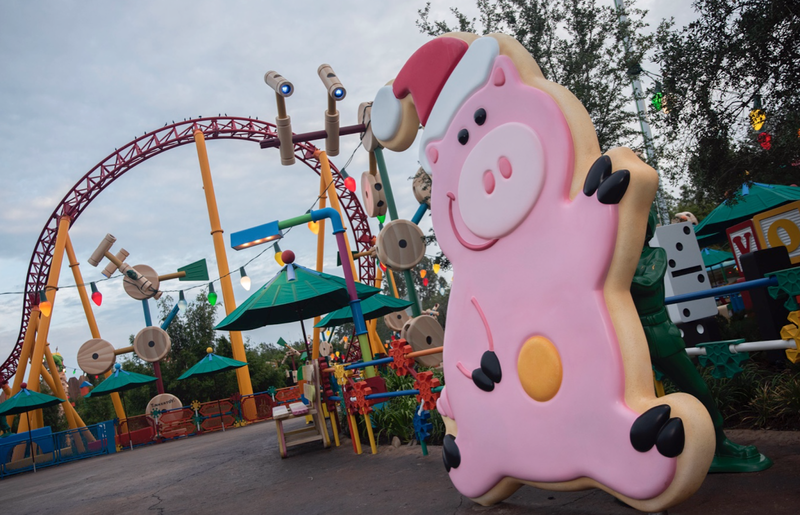 Here, guests will ride “Jessie’s Critter Carousel” and can eat at Poultry Palace and Senor Buzz’s Churros. Yum, yum, yum! Not many details have yet been released about this emotion themed neighborhood, but we do know there’s another food stand. Pixar Promenade is a new archway featuring new replacements as well. Wall-E’s Space Spin, La Luna Star Catcher and Heimlich Candy Corn Toss are the three additions. Lamplight Lounge will serve cocktails and light meals. It truly is wondrous to see a place like Disneyland, which champions imagination to be including so many diverse Pixar attractions. Check back here for more developments! 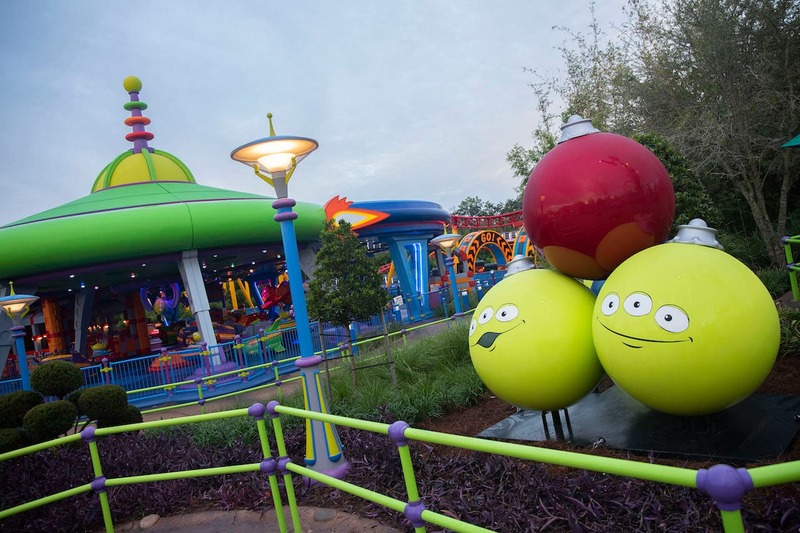 Toy Story Land is set to open at Walt Disney World on June 30th! Have you ever wished you were able to walk amongst your favourite characters from the Toy Story universe and see the world from their perspective? 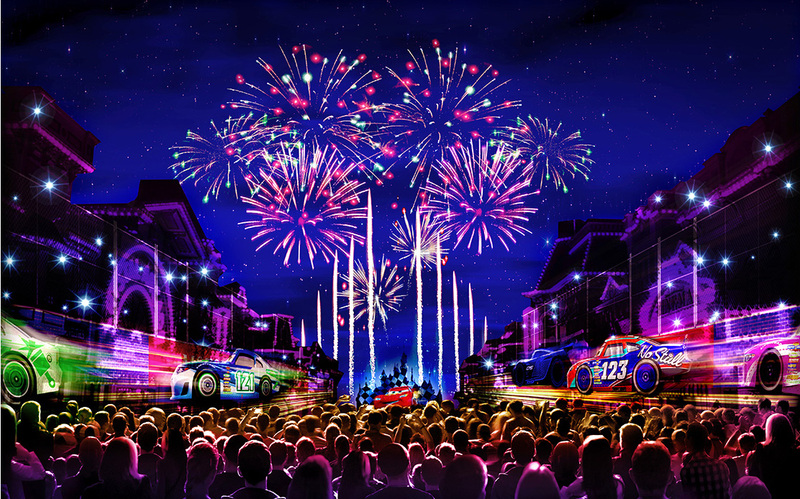 In 3 and a half short months, you’ll be able to do just that at Disney’s Hollywood Studios. 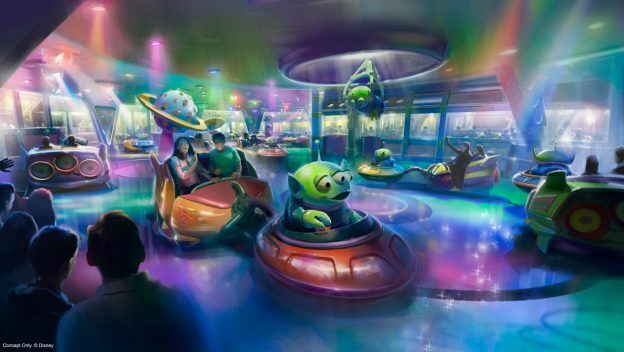 There will be a multitude of Toy Story themed rides, games and snacks, including a Slinky Dog rollercoaster and alien swirling saucers. You can tell a lot of creative thought has gone into the design of the surroundings as well as the rides. 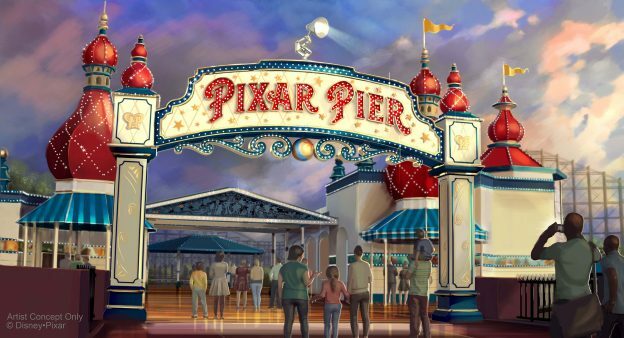 This in addition to the Pixar Pier in development at Disneyland is great news for us Pixar fans – it’s about time more Pixar themed rides and attractions took pride of place! Newly minted Pixar additions to the Disney Parks are coming soon! It was recently announced at D23’s Japan Expo that Pixar Pier’s grand unveiling at Disney California Adventure is on June 23rd. I love the idea of whimsical neighborhoods, since they perfectly encapsulate the simple charm of Pixar’s elaborate and magical worlds. And not only that, but the Incredicoaster will also arrive on the same day! What kind of thrills can we expect from a ride that’s long overdue?! Paint the Night Parade will feature an Incredibles themed float with our favorite supers, and there will be some surprises there too. The parade comes to California Adventure during the Pixar Fest on April 13th. All of this ties in quite well with the release of Incredibles 2 in June. We’re in for an action packed summer with the returning Parrs both on and off screen.